As the maximum amount of bags is almost reached with my composition, some bags I left out in my arrangement. There is no front bag that gets fixed at the handle bar. Furthermore I left out the bag between the front tube and the seat post. All other standard bags are being used in my standard configuration. I have seen very special combinations of bags, e.g. Frank, he used two bags at his handle bar and a special bag, where I have located my third bottle, between front wheel and bottom bracket. 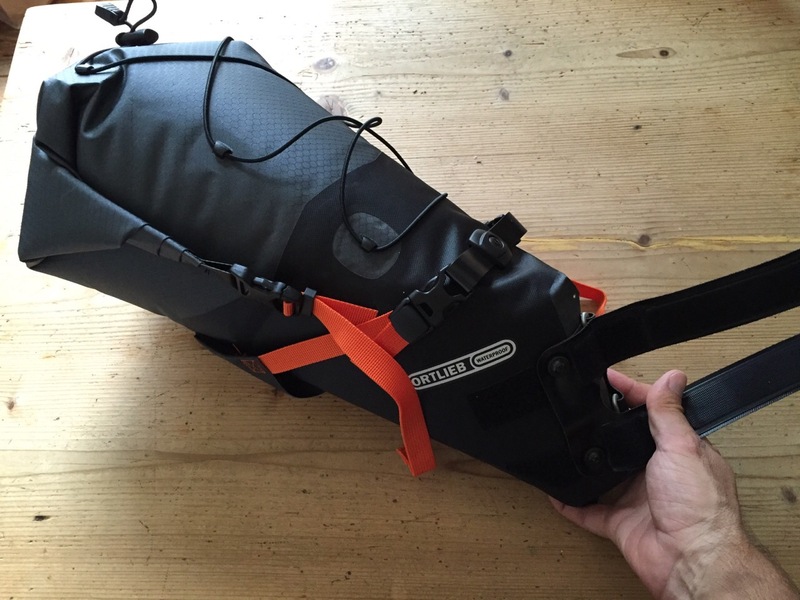 Frame bag from Revelate safe storage for all important documents, maps, manuals, money, batteries and cables. And tons of food, such as power bars and sugars. Saddlebag from Ortlieb. This bag just came out. By chance I read about it as I was searching on the Ortlieb website, ordered immediately and arrived in time. It can be quite huge, but it is waterproof. The first of its kind that I found. After two days in the rain with my revelate bag, thing got wet inside, which was not nice at all. After 13 days with this bag in the hills, I can confirm that this bag makes sense. On top you can wrap some food, which also was important for myself as I always need some stock! 2 bottle holders that allow you to access the bottles from the side. 1 bottle holder next to the bottom bracket as third bottle, I needed this one every single day. Getting this bottle out and back in is a little tricky, but you have to get used to this bike anyway. I love your detailed analysis of your gear. It helped me heaps to buy and set up my own bike and gear. You inspired me to do the NC4000 this year. Thanks. 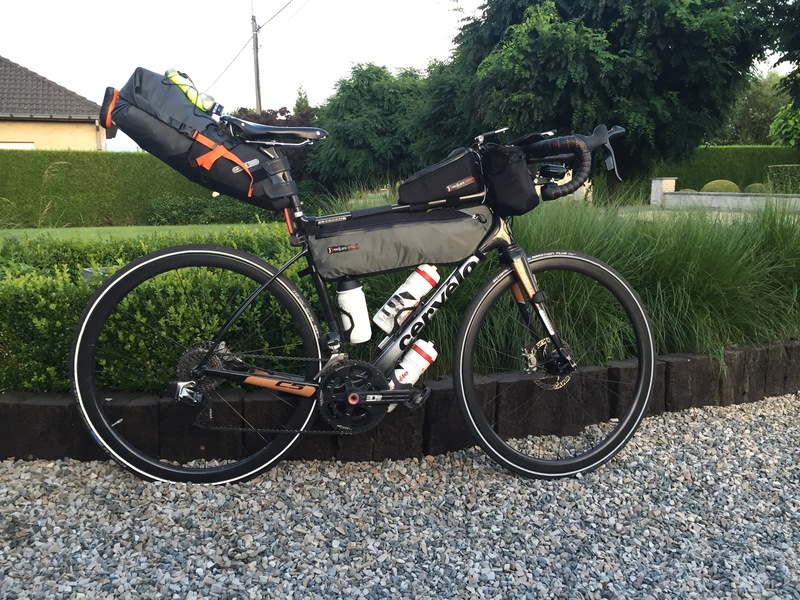 How is your opinion about your bike and its gear, after having finished NC4000 plus a good time of recovery?